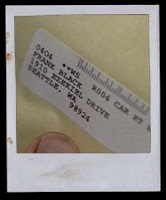 BACKTOFRANKBLACK.COM: Another Millennium fan speaks! I want to first thank you for getting this campaign going and spreading the word about bringing this amazing character back to the screen. I have followed the show since Season 1 and am truly pleased with this campaign. I know how you guys feels, several years back I was involved in a campaign to bring the show Brimstone back which used to be paired with Millennium on Friday nights. We were somewhat successful getting Bonnie Hammer of the Sci-Fi channel to pick up the already aired 13 episodes 2 years after it was cancelled. 0 Responses to "Another Millennium fan speaks!"